A mini cajon with all the features of a full-size cajon. 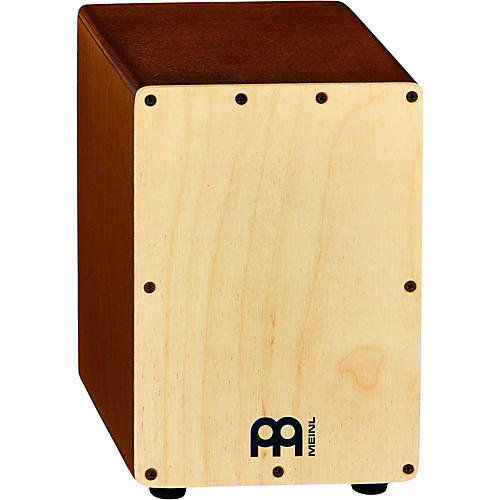 With all the features of a full-size cajon, Mini-Cajons from Meinl Percussion are fun to play and easy to carry around. The Mini-Cajon is fun to play and will look great on your desk or coffee table with an almond birch body and natural birch frontplate. At 14cm tall, this miniature versions are about 1/6 the size of a normal cajon. They are made of birch wood that is known for its excellent musical tone (made famous in drum set shell construction). The extra-thin frontplate is responsive to the lightest finger rolls. Enjoy spontaneous jam sessions at home or at work. Dimensions: 5-3/4" x 8-3/4" x 5-3/4"